Expert quality hardened steel bevel edged blades. Acetate handle with cushion grip. Steel striking end cap. 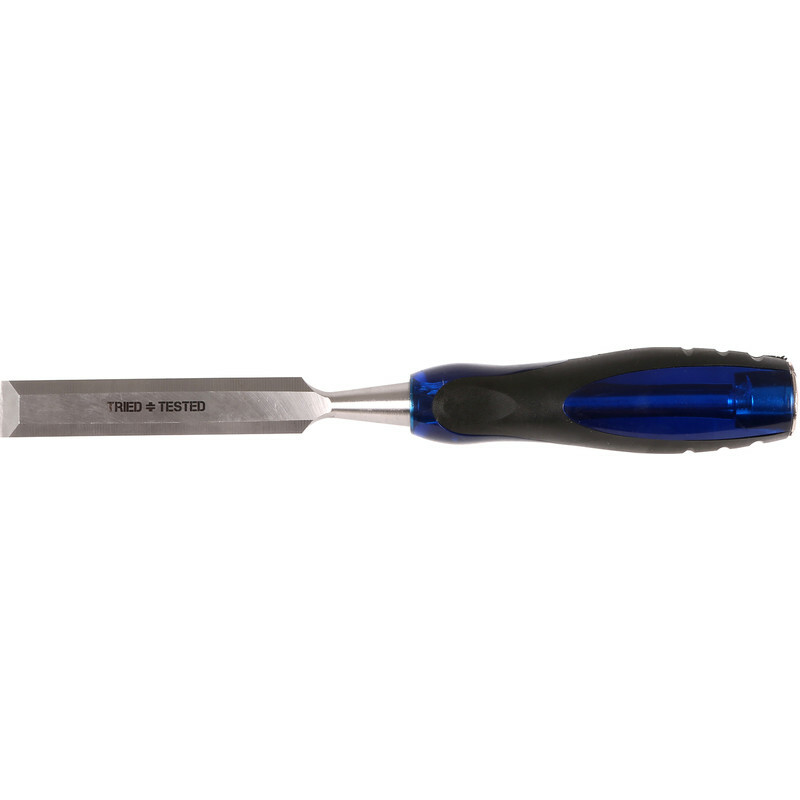 Expert Wood Chisel 32mm is rated 4.2 out of 5 by 15. Rated 4 out of 5 by Handymantoknow from Good product Good steel which takes a good edge. You will need to sharpen them for anything other than smashing out work. That is normal and you need to resharpen regularly if doing accuwork anyway. Only gripe is the edge of striking cap is a bit sharp and not very comfortable on hand. A quick rub with a file sorted that. Good tools for very little money and a few minutes to sharpen. Or spend 3 times as much and have to sharpen after a bit of work . Rated 5 out of 5 by Malc 999 from Good tool As same as for 25mm chisel. Rated 5 out of 5 by Malc 999 from Good tool Good chisel so far...pity they did'nt spend a few pence more on the blade guard...they fall off! Rated 2 out of 5 by Eloc from Not great Does not cut well. Wish i had spent more on a decent chisel. Rated 5 out of 5 by Robert 1 from Excellent value - good buy Ideal for d.i.y er . Well recommended.